Summary: Senator Sanders has a long history of supporting reforming our nation’s drug policy. While serving as mayor of Burlington, Vermont in the 1980’s, he called for decriminalizing drug possession and treating substance abuse as a public health issue. When elected to Congress in the 1990s, he co-sponsored legislation that would have allowed for access to medical marijuana. In recent years, he has campaigned heavily on ending federal prohibition and expunging past marijuana convictions while campaigning for president in both 2016 and 2020. Senator Sanders was also the lead sponsor on the Senate version of the Ending Federal Marijuana Prohibition Act in 2015 and is a co-sponsor of numerous marijuana-related bills including the Marijuana Justice Act. NORML endorsed his campaign for re-election to the Senate in 2018. Summary: Senator Booker has prioritized marijuana law reform since his time serving as mayor of Newark, New Jersey. He has made ending federal prohibition a central plank in his current presidential campaign and has prioritized the issue during his Senate career, serving as lead sponsor of the Marijuana Justice Act and the CARERS Act. NORML endorsed his campaign for New Jersey’s Senate seat in 2010. Summary: Earlier in her career, Senator Warren was cautious on issues surrounding cannabis descheduling and legalization. In recent years, she has embraced the issue and is one of the lead sponsors of the STATES Act, that would create an exemption from federal incursion for states that have legalized marijuana for adult or medical use, and is a co-sponsor of the Marijuana Justice Act. She has highlighted issues of the inequities caused by marijuana prohibition while on the trail for her 2020 presidential campaign. NORML endorsed her campaign for re-election to the Senate in 2018. Summary: Kamala Harris has a complicated history with marijuana law reform. While serving as district attorney in San Francisco and as US Attorney in California, she enforced laws that saw many go to jail for marijuana offenses and oversaw a period where raids on medical marijuana dispensaries spiked. During her campaign for District Attorney in 2016, she laughed off the question when asked about support for legalization. However, she began to embrace legalization more around 2016 and upon entering the 2020 presidential race, she has become a more vocal advocate and often discusses legalization as a criminal justice reform issue. She said she believes marijuana is a thing that “brings people joy” and supports ending federal prohibition to combat mass incarceration. She was an initial co-sponsor on the Marijuana Justice Act of 2019. Quote: “We need to legalize marijuana and regulate it. And we need to expunge nonviolent marijuana-related offenses from the records of the millions of people who have been arrested and incarcerated so they can get on with their lives.” Sen. Harris wrote in her book The Truths We Hold. Summary: Kirsten Gillibrand did not initially support legalization when serving in the House of Representatives. In the Senate, she became a vocal supporter and signed on as a co-sponsor of numerous pieces of marijuana related legislation. On the campaign trail she has often spoken vigorously against our failed war on drugs and the harms caused by marijuana prohibition. She was an initial co-sponsor of the Marijuana Justice Act of 2019. NORML endorsed her reelection to the Senate in 2018. Summary: Tulsi Gabbard has largely been a vocal supporter of ending federal marijuana prohibition for her full tenure in the House of Representatives. She has twice been the lead sponsor of the End Federal Marijuana Prohibition Act and continues to discuss the need for reform while campaigning. This has been a major part of her political platform, in addition to serving as the lead sponsor on End Federal Marijuana Prohibition Act, she is a co-sponsor on numerous other pieces of marijuana-related legislation. NORML endorsed her campaign for re-election to the House of Representatives in 2018. Summary: Beto O’Rourke has been a long-time supporter of abolishing the federal prohibition on marijuana since the start of his political career as a city council member in El Paso. While serving in the US House of Representatives, he co-sponsored several bills including; The Veterans Equal Access Act, The Respect State Marijuana Laws Act, The CARERS Act, and The Industrial Hemp Farming Act. In his bid for President, he has called for ending the federal prohibition of cannabis and creating a legal, regulated market. He also supports expunging criminal records of those already convicted of nonviolent marijuana offenses. NORML endorsed his reelection campaign to the House of Representatives in 2014 and his campaign for Senate in 2018. Summary: John Delaney does not have a long record of supporting marijuana law reform. When he served in the House, he did co-sponsor a very limited medical marijuana access bill and a piece of legislation that would give marijuana businesses the ability to utilize financial services. Summary: Under the leadership of Governor Jay Inslee, Washington state has acted as a progressive beacon for the rest of the nation in many important areas, including marijuana policy. Washington state historically became the first state to legalize recreational marijuana in 2012, less than a year before Governor Inslee took office. Although his support for legalization was uncertain prior to the passing Initiative 502 in the 2012 general ballot, he has since vehemently protected his state’s program, defending it against the threat of federal interference. Inslee has assured voters that he will support legalization efforts as president, voicing his belief that it’s time the United States legalizes marijuana federally. Summary: Governor John Hickenlooper has displayed lukewarm support for progressive marijuana policies and has often left voters unsure of his exact stance on cannabis-related issues. He demonstrated outspoken opposition to his state’s decision to legalize in 2014, citing that it would inspire people “to do more of what is not a healthy thing.” Hickenlooper has since admitted that his fears have not materialized. Although he still does not endorse legalization, he believes in a federal reclassification of cannabis and has voiced support for federal banking reforms. Summary: Julian Castro has come out in support of legalization during his campaign for president. He has not held legislative office, so there is no record available for bill sponsorship or votes. While serving as the Secretary of Housing and Urban Development under Obama he issued a memo reiterating the ban on marijuana in public housing. Summary: Yang supports ending federal marijuana prohibition and moving towards legalization – in addition to calling for the expungement of those with existing criminal records. While he supports legalization, he also believes that there should be limits on advertising and THC levels. Summary: Mayor Buttigieg has talked about cannabis reform significantly less than his 2020 competitors. He has never signed legislation directly related to marijuana, and his home state of Indiana lacks even a comprehensive medical program. However, he has voiced strong opposition to the incarceration of nonviolent drug offenders and has related his own experience with a police officer who caught him with a joint while he was in college. While Buttigieg wouldn’t obstruct efforts to change federal cannabis laws, it would likely not be a priority of his administration. HB 63 (Rep. Joe Moody) — Relating to the civil and criminal penalties for possession of certain small amounts of marihuana and an exception to prosecution for possession of associated drug paraphernalia; creating a criminal offense. Participate in our action alert! SB 156 (Sen. Jose Roriguez) – Relating to the civil and criminal penalties for possession of certain small amounts of marihuana and an exception to prosecution for possession of associated drug paraphernalia; creating a criminal offense. HB 186 (Rep. Terry Canales) — Relating to the determination of the weight of marihuana and other tetrahydrocannabinolsfor the purpose of the prosecution and punishment of the offense of possession of those substances. HB 122 (Rep. Gina Hinojosa) — Relating to the medical use of marihuana; providing an affirmative defense to prosecutionfor possession of marihuana. 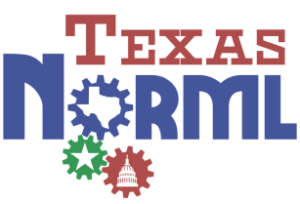 For future updates on marijuana law reform efforts in the Lone Star State, follow Texas NORML on Facebook and Twitter and become a member today! With the marijuana midterms right around the corner, it’s imperative that you know who and what is going to be on your ballot leading up to Election Day on November 6th. To see who the Votemarijuanamost pro-cannabis reform candidates are in your district, check out our Smoke the Vote scorecard and voter guide. One of the biggest hurdles to expanding the legal market in California has been local municipalities banning marijuana businesses in their jurisdiction. This election, at least 82 marijuana related measures will appear on ballots before voters across the state, spanning 10 counties and 58 municipalities. A majority of the local initiatives are asking about business taxes, which is often the first step needed to actually open up a cannabis business. You can check out the full list of local ballot initiatives here. If you live in any of those cities or counties, be sure to get out to the polls and vote on the marijuana ballot questions! Make sure you know where your polling location is before the election on November 6th and get ready to #SmokeTheVote! With the marijuana midterms right around the corner, it’s imperative that you know who and what is going to be on your ballot leading up to Election Day on November 6th. To see who the most pro-cannabis reform candidates are in your district, check out our Smoke the Vote scorecard and voter guide. In addition, if you live in any of these 16 counties and/or two cities, be sure to vote YES on the following marijuana ballot questions. In no way are these questions binding, but passing results often serve as an antecedent for legislative action by lawmakers. (a) Be legal for adult, 21 years of age and older, recreational or medical use, taxed and regulated like alcohol, with the proceeds from the taxes used for education, healthcare, and infrastructure in Wisconsin? (b) Be legal for medical purposes only and available only by prescription through a medical dispensary? (c) Remain a criminally illegal drug as provided under current law? Resolved, that “We the People” of Marquette County, Wisconsin support the right of its citizens to acquire, possess and use medical cannabis upon the recommendation of a licensed physician, and; Be It Further Resolved, that we strongly support a statewide referendum Wisconsin to join the thirty-two (32) states that have already approved the use of medical cannabis for the treatment of chronic pain, several debilitating diseases and disabling symptoms. Should cannabis be legalized for adult recreational use in Wisconsin? Should cannabis be legalized for medical use in Wisconsin? Should cannabis be decriminalize in the State of Wisconsin? Just under half of Wisconsin’s population lives in the counties that will be voting on cannabis advisory questions. Make sure you know where your polling location is, and be sure to get to the polls on November 6th to #SmokeTheVote!